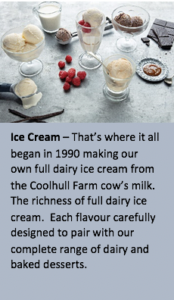 Coolhull Farm is a family-owned Irish company founded in 1990 by Tomás Murphy who began making ice cream using a classic Italian recipe on his dairy farm, at Coolhull, Co. Wexford. 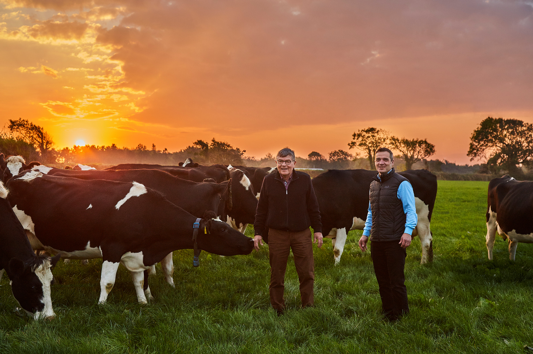 Coolhull Farm Ltd (previously Paganini Ice Cream) is now run by Tomás’s son Barry. 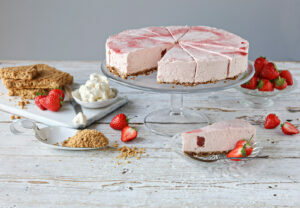 Today the company still specialises in dairy and makes a full range of premium ice cream and baked and dairy desserts using the raw milk from Coolhull Farm. 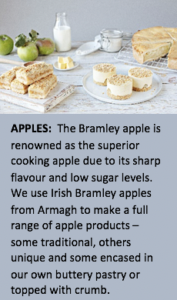 The quality of our farm fresh ingredients and our farming heritage differentiates our products and our processes. 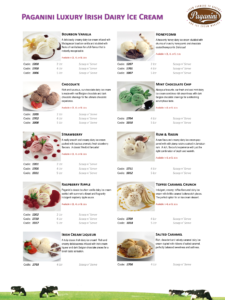 We offer a full range of desserts to the Foodservice and Retail channels. There’s something about making things from scratch that fits who we are. 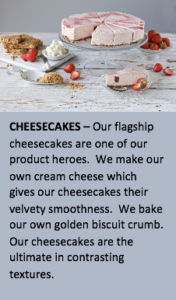 What differentiates us is the quality of our desserts – a combination of our key ingredients and our processes that give our desserts that extra special memorable taste. 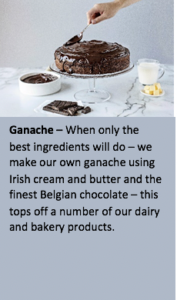 Here’s a little taste of what makes our desserts so delicious. Can our New Product Development Team help you achieve your business goals? We have a dedicated new product development team who bring value to our customers and our company. Coolhull Farm offers the customers we serve the facility to develop new products that meet their market challenges – these could be to address skill shortages in kitchens, labour saving initiatives, new formats, processes or components in the value chain that bring tangible and intangible benefits. 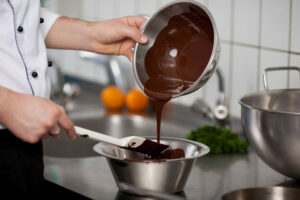 Ingredient Integration – By controlling more stages of the supply chain, we offer our customers better quality ingredients, guaranteed quality assurance and environmental waste reduction benefits. So if you have a challenge in your business that our NPD team can help with, get in touch through our Contact Us page, or email us now.